The name meatloaf is anything but exciting and leaves a lot to be desired and truth be told, I’ve had quite a few bad meatloaves in my lifetime. You know – the dense, dry, compact meat product that resembles a brick more than something edible. 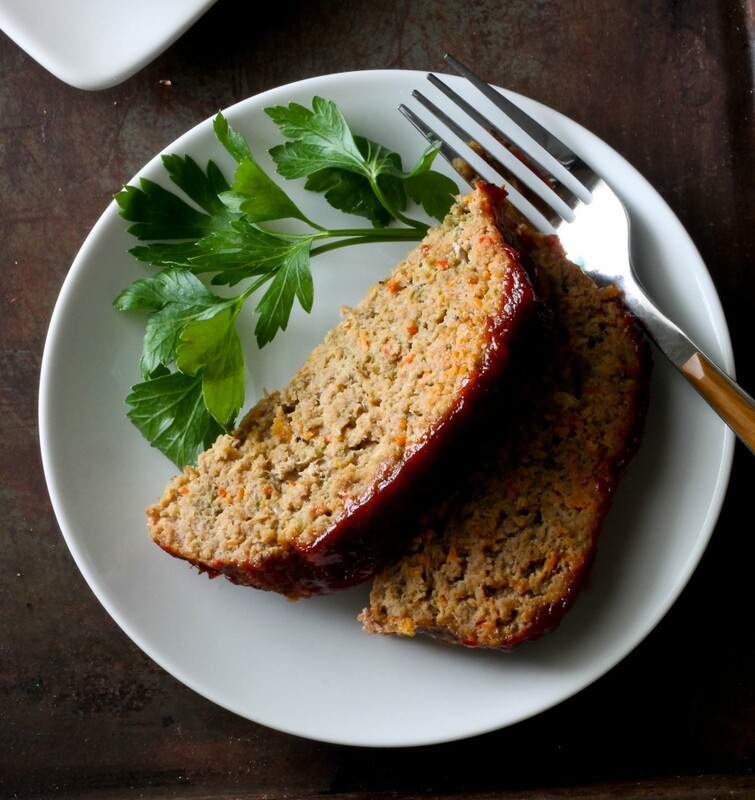 Well my meatloaf is anything but the aforementioned; it’s is moist, flavorful and packed with vegetables. I add a medley of vegetables for 2 reasons, the first reason being that my son avoids eating vegetables, so I disguise it in as many dishes as possible and it’s very easy to hide it in meatloaf. The second reason being the addition of vegetables makes it very moist and add a ton of flavor. 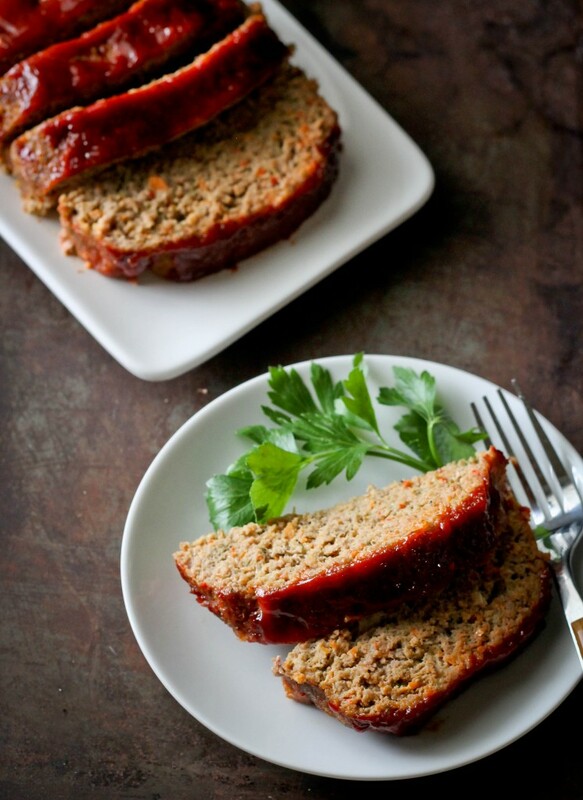 This turkey meatloaf is quick to throw together and is a great addition to any family meal. Preheat oven to 375 degrees. 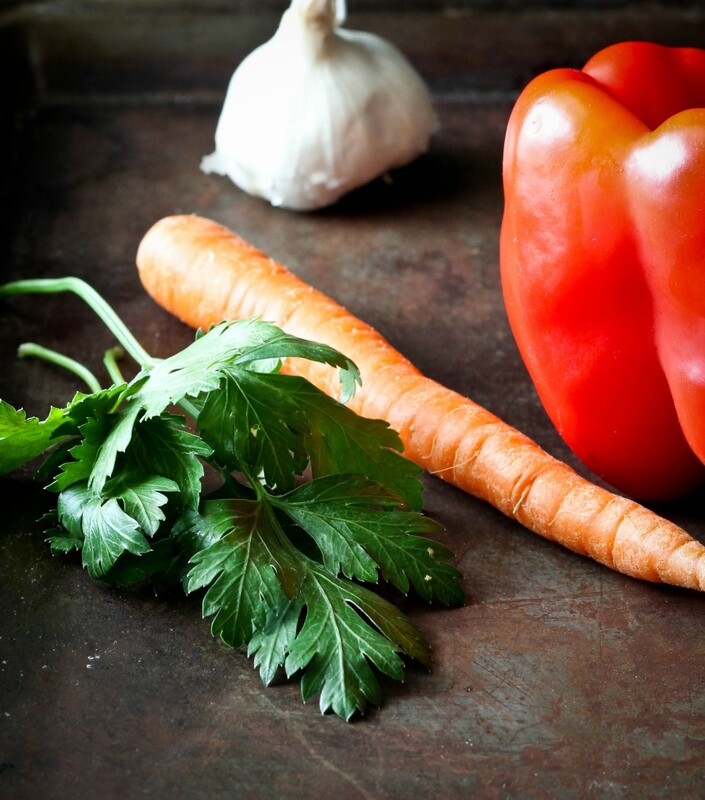 Finely chop carrots, bell pepper, garlic and white onion; this can be done in a food processor or blender. Pulse the slices of bread in a food processor to make coarse bread crumbs. In a large bowl add ground turkey, chopped vegetables, breadcrumbs, thyme, rosemary, parsley, black pepper, salt and eggs and mix to combine. Form into a loaf on a large sheet pan and set aside. 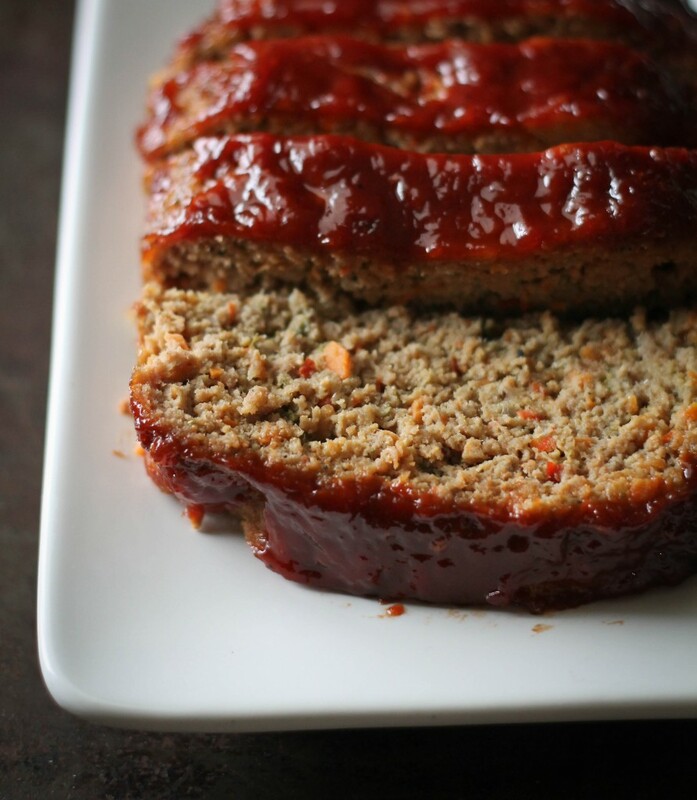 Make the topping by mixing bbq sauce, ketchup, yellow mustard and Worcestershire sauce in a small bowl then spread on the top of to the meatloaf. Place meatloaf into preheated oven and bake for 1 hour 15 minutes. Remove from oven and let cool for 15 minutes before cutting. Best served warm. Hi Jehan, did you cover the pan once you’ve put it in the oven? Thanks 🙂 i would like to make it this weekend! Hi Tehani, no I do not cover it. Let it cook uncovered so that the glaze can thicken and caramelize.